The best way to start is to put your Biomat™ 7000mx on a lower setting at first. Also, 15 minutes to a 1 hour session is all you want to do at first. It's best to ease into infrared therapy and to give your body a chance to accept the healing and pain relief effects. You can download the new Biomat instruction manual here. First, find a quiet place in your house to lay down with your Biomat. The environment you Use Your Biomat in is important so make sure it's tranquil, maybe play some calming music, but make sure there is nothing that will disturb you while you relax. Be proactive and think about what could disturb you during your session and take care of it before you lay down. Hydrate with water before and after each session. Use a all-organic (cotton) sheet or blanket to cover yourself. Start slowly. Begin with low-heat, the green setting, in short 15-30 minute sessions. Green or lowest gold settings are best for starting out, sleeping and for longer time periods of time. Allow your body to become accustomed to the changes it may undergo. Start gradually, in small doses, and your body will become more accustomed to using the light energetics in the way your body's innate intelligence knows how to do. All settings are therapeutic and versatile. Establish and focus on your own intent. Positive thinking, meditation and visualization can offer profound and cumulative benefits to the body, mind and spirit. 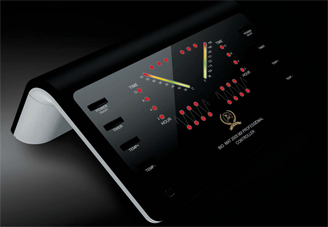 The Bio Mat controller has Soft Touch buttons for On/Off and Temperature Control. The controller has the most advanced I.C. Chip available, which cuts off electromagnetic waves. Instructions are included for operating the controller and a controller comes with every Biomat. You can sleep all night on your Biomat™ Amethyst and enjoy the cumulative effects or use it on higher settings for deepest therapeutic value. After using your Biomat a few times and slowly increasing the temperature and length of time for your sessions, you could be ready to try a higher temperature for a deeper therapeutic session. You might want to cover up with a few towels or heavier blankets to allow your body to absorb more infared rays and induce a healthy false fever which can have healthy benefits for your immune system. The higher gold settings create deep, penetrating warmth and are great in 10 to 90 min sessions for joint relief and can truly relax you. The red settings create deep heat for maximum therapy in 30 min to 1 hour sessions for sauna-level cleansing and metabolic waste removal. Many Biomat users report dramatic benefits from incorporating half-hour power sessions for 3-5 times per week on the highest red settings. Remember to listen to your body - don't go any longer or higher than you are comfortable with. The lower settings over time can create similiar results as the higher settings because the effects are cumulative. As with all healthy habits, consistency is the key. Practice letting go on a daily basis and it will soon become natural and easy for your body to let go and heal what needs to be healed. A half-hour session before bed is ideal to prepare your body for the deepest, regenerative sleep. As with starting any sort of health or fitness program, you may want to consult your physician or health care practitioner first.